Hi, hope your Thursday is going well. About a week and a half ago, my new Grand Caliber broke. Today's card is for the challenge at Penny Black and Friends Saturday # 174. Haven't entered a card in a few challenges, just a time thing, I love Penny Black stamps. The theme for this challenge is " Too Cute to Spook". Love these vintage stamps, have lots of them from when I first started to stamp. what a lovely and beautiful halloween card sue. So gorgeous card,I love the image and the colours. Gorgeous card and love your colouring. 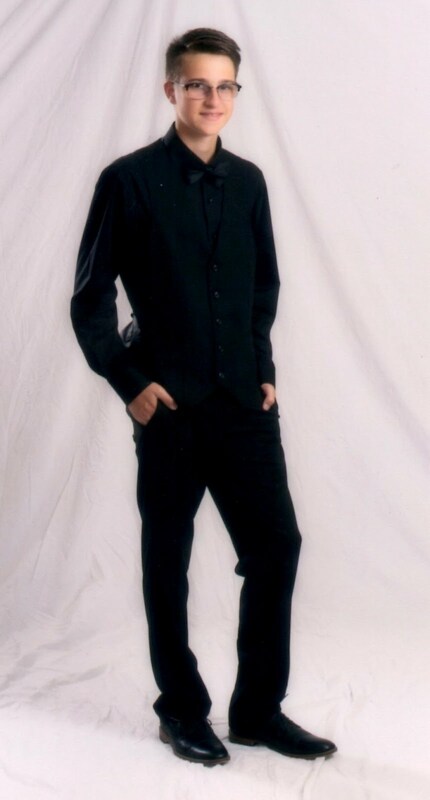 Oh this is fabulous! I love these funky papers and he is definitely too Cute to Spook! Thanks for joining in with this weeks Penny Black Saturday Challenge! 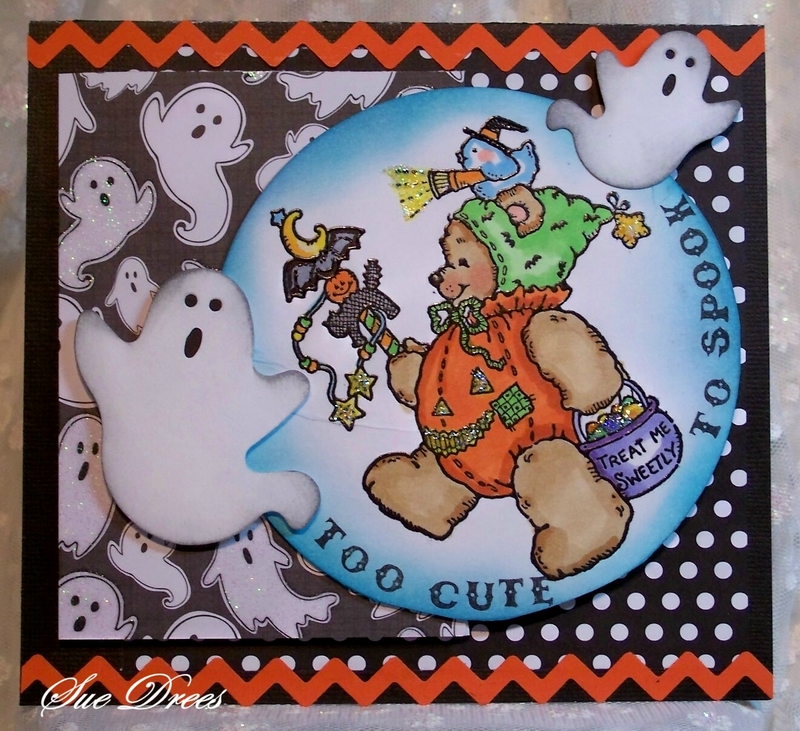 Fabulous cute Halloween card, love that bear. Aww this REALLY IS too cute to spook lol.Gorgeous image n card. 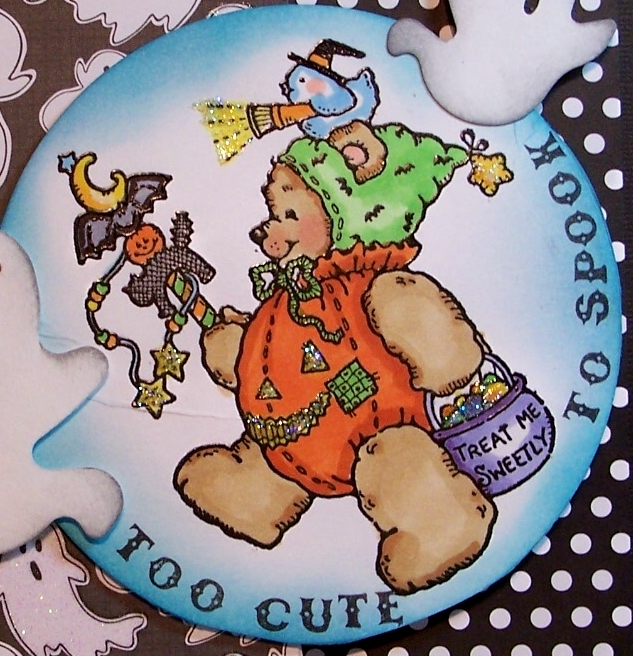 oh sue...this is just the cutest little PB image and such a fun card!